NYC DOT is working to enhance the coordination of major planned work that impacts the streets with utility companies and other entities that perform street excavations. To this end, NYC DOT has dedicated time and resources to enhance its own systems and coordination efforts. It is important that contractors and utility companies are responsible partners as well in order for coordination to be effective. Coordinating street work in accordance with the principles of this section will help to minimize delays and disruption to road users, businesses and residents and help extend the useful life of city streets. Provide Notice of Planned Street work at Earliest Opportunity—The basic principle of providing adequate advance notice is the greater the disruption, the longer the notice period needed. By mutually sharing data before detailed construction plans have been developed NYC DOT and street excavators can adjust their project plans to avoid conflict and maximize the potential opportunity for street work coordination. service—Information on long-term capital programs from potential street excavators helps NYC DOT to effectively coordinate planned street work. It also helps NYC DOT to identify opportunities for joint bidding and to coordinate the timing of the agency's resurfacing and reconstruction activities. Meetings—Regular coordination meetings allow decision makers to share information and to discuss project difficulties and constraints. Several forums are in place to provide advance notice of city capital projects. 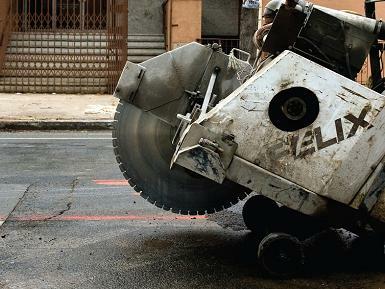 NYC DOT hosts borough-level meetings to discuss the scheduling of upcoming resurfacing projects with utility companies and other potential street excavators. NYC DOT also routinely meets with utility companies and others who perform street excavations to inform these organizations of upcoming events and major construction projects with which NYC DOT is involved. Additionally, in the middle of each fiscal year, the New York City Department of Design and Construction (DDC) convenes a meeting with other agencies and utilities to discuss city projects under its purview that are expected to begin construction during the next four years. During the final design stage of a city project, DDC will also hold a series of alignment meetings with the utilities and other agencies to inform them about proposed changes to the location of street infrastructure that would require facility relocation. Coordination aims to reduce street excavation work on recently repaved streets.